We recommend Natural Ayurvedic supplements for Autism"
Autism hinders the sensory processing capabilities in children (particularly in eating). Hence, we recommend a unique diet plan for autism which adequately nourishes the patient's brain & at the same time improves the impaired digestion. We also support autism awareness & have put our special focus on the need to provide healthy solutions for autism in both kids & adults. We, here at ND Care Nirogam Pvt. Ltd, have mastered the role of Ayurvedic herbs in mental health. Under the aegis of our expert of Ayurveda, Dr. Navdeep Sharma (Best Ayurvedic doctor in India) & his expertise in treating various mental disorders, we have performed extensive research and development to formulate natural supplements that support the healthy functioning of the brain by improving intelligence & learning capabilities in kids & adults suffering from autism. Our unique treatment concept for both syndromic autism (intellectual deficit compounds with several other disorder such as Down syndrome) & non-syndromic autism (intellectual deficit is unitary) allows the body of the patient to expel the accumulated toxins & decrease the manifestation of other diseases. Our prescribed therapies for autism to control Vata allow the patients to eliminate sensory allergies (light & sound etc.) by integrating their self with the environment. The optimization of Vata also helps to improve verbal communication in autistic patients. Ayurvedic treatment for Autism in children: Staring can't heal, autism but Ayurveda can. A perfect harmony of all the three is required for intellectual capabilities. Our natural treatment for autism, balanced nutritional diet plan, natural & physical therapies boosts the energy level of the cells. On the basis of several case studies, we now have established that treatment of autism is most successful when it is geared toward the child's particular needs. This complex developmental disorder can be effectively treated via rational utility of certain specific Ayurvedic supplements & treatment procedures that have been practiced with the sound understanding of impaired cognitive functioning in terms of Ayurvedic principles. "Cephala Go "Improves intelligence & learning capabilities"
Ashwagandha (Withania somnifera) is the main ingredient of Cephala Go. In Ayurveda, Withania somnifera herb shows high affinity for GABA receptors and GABA agonism. Also, CCK antagonism has been linked to anxiolysis. In autism, memory loss, anxiety, attention deficit etc. are the most common symptoms; therefore it is the best Ayurvedic natural solution. Nirogamz Braino-R "Ayurvedic cerebral activator"
Shankhpushpi (Clitoria ternatia) is the main ingredient of Braino-R. As per Ayurvedic texts Shankhpushpi is a Medhya herb. The aqueous root extract of Shankhpushpi is responsible of increasing acetylcholine Ach content in the hippocampi of brain, this increase in Ach content in the hippocampus is the neurochemical basis of improving learning & memory. Nirogamz Braino-A "Supports all aspects of mental performance"
Tagara is the main ingredient of Braino-A. Tagara contains significant amounts of phenols and flavonoids that have a natural chelating effect. Another most important molecular mechanism of Tagara is that it triggers protection against oxidative damage. Thus acts as a potential neuroprotectant for neural cells & tissues. These natural remedies for the autism play a vital role in coping with the desired level of brain functioning. Additionally, the home remedies for autism can significantly boost the development & maintain the homeostasis of the body & brain of the autistic patients. Brahmi (Bacopa monnieri): It is the authentic & main Ayurvedic natural herb for the nervous system. It can potentially stimulate brain functioning & treat issues related to the nervous system. It has a rich content of B-complex (B1, B2, & B6) which acts at the very core of the nervous system. It can potentially act as a circulatory stimulant that fosters the circulation. It can also enhance mental performance & relaxes the whole nervous system. Shatavari (Asparagus racemosus): It is another best natural herb which can boost memory. This herb is also well-known for reducing anxiety & depression. It has been well-studied for the enhancement of social behavior & learning skills. It is also useful to improve concentration. Ashwagandha (Withania somnifera): Ayurveda recommends its use in the treatment of memory loss, anxiety, attention deficit disorders which are the characteristic features of autism. It also acts as a rejuvenator to get relief from neural stress. It is especially helpful in countering nervous system disorders & neurodegenerative diseases. It also stabilizes the mood & treats sleep disturbances by reducing mood fluctuations. Guduchi (Tinospora cordifolia): Guduchi has gained immense popularity among the recent times as a natural rejuvenating tonic in the Ayurvedic domain. 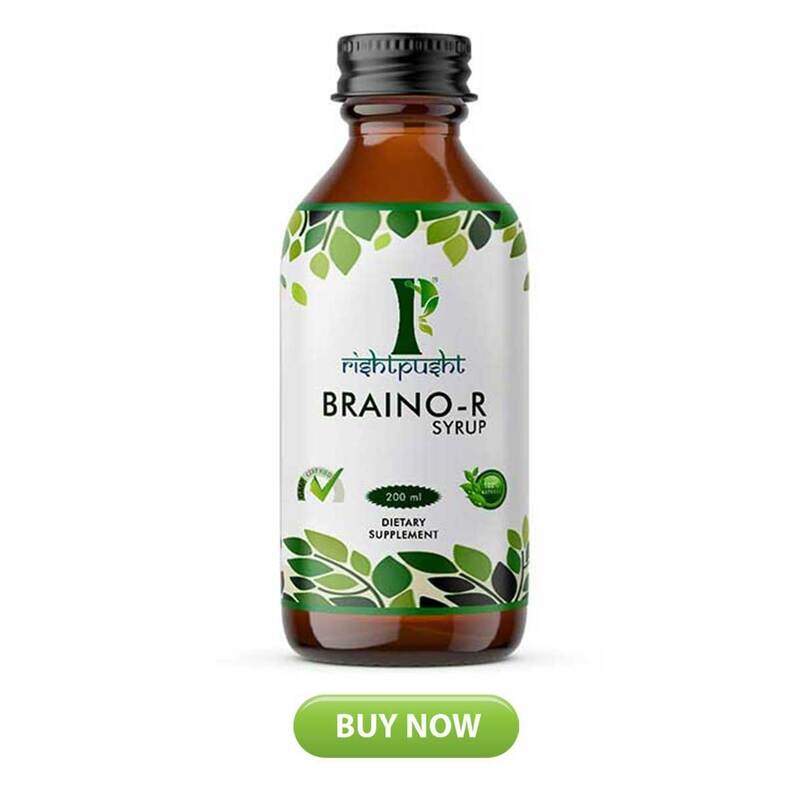 It is specifically helpful in enhancing the cognitive functions & memory of human brain. Amalaki (Emblica officinalis): Amalaki, or Amla, is a frequently mentioned herb in the Charaka Samhita. It has been scientifically studied that Amla extract can negotiate the toxic effects of heavy metals such as lead, aluminum, & nickel etc. It has also been studied that Amla is also helpful in reducing chromosome abnormalities. It is also known to cleanse the colon by eliminating excess toxins in the body. Due to the significant amount of antioxidants, Amalaki is highly useful for blood purification. It also promotes stable & healthy energy levels in the body. Yashtimadhuk (Glycyrrhiza glabra): Also commonly known as Mulethi, this herb acts as an antacid, anti-inflammatory, anti-oxidant, anti-Alzheimer, antidepressant, & anti-stress. It is particularly known for regulating the digestive system & respiratory system. It also improves depression, emotional stress, & memory loss. Vacha (Acorus calamus): Vacha is commonly known as Sweet Flag. It is among the most renowned herbs used for mental/emotional disorders & for nervous system disorders (ADD/ADHD). It is primarily used to open the mind, promote clarity, improve concentration, & organization of speech. In Ayurvedic terms, Vacha is a 'Sattvic' herb that acts as a rejuvenator for the brain & nervous system. It promotes cerebral circulation & supports brain health & function. Consume pulses like green gram & red gram. Add fats like clarified butter (Ghee) from cow's milk or medicated ghee in the diet. .
Consume green leafy vegetables, apple, mango, Amla, pomegranate, carrot, & pear. Avoid junk food, oily, & spicy food, stale food, cold drinks. .
Avoid cheese, coffee, curd, desserts, groundnuts, meat, potato, sago, sweet potato, etc. Give boiled water to drink whenever thirsty. Alternate nostril breathing (Pranayama), for instance, Anuloma Viloma can also be very helpful.